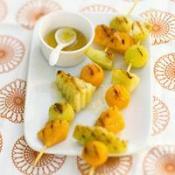 Grilled fruit kabobs make a fun, low-calorie dessert at summer cookouts. 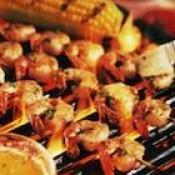 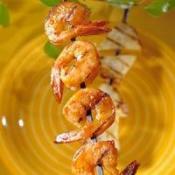 Grilled shrimp topped with a thick orange, cilantro, ginger sauce. 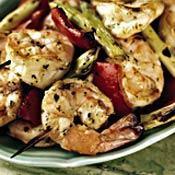 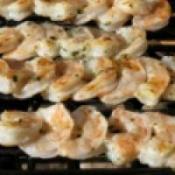 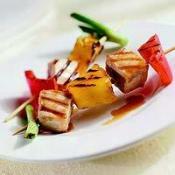 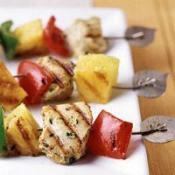 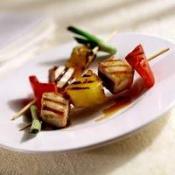 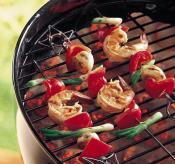 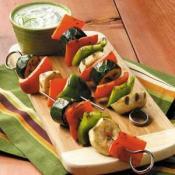 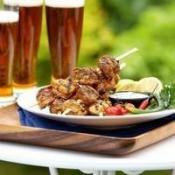 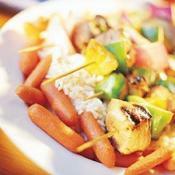 Serve these low calorie grilled fish kabobs over a bed of rice. 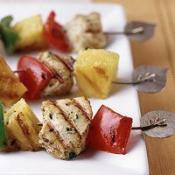 Chicken kabobs marinated with rice wine, garlic, and ginger.